NEW IMPROVED PRICE!!! 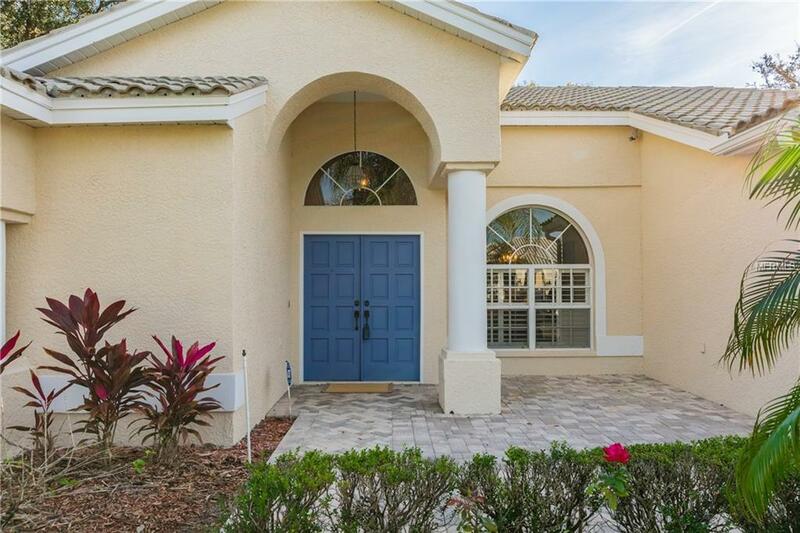 **Steinbrenner School District **Beautiful Pool Home on Cul De Sac** Spacious 4bedroom 3bath 3 car garage home with large private lot in the highly desired Trails at Van Dyke Farms. As you enter you first notice all of the natural light coming in and the beautiful views of the pool and lush backyard from both the family and the great rooms. The kitchen is designed for the chef in the family with plenty of granite counter space, island with storage, floor to ceiling wood cabinetry including a wall pantry, pull out and deep pot drawers as well as stainless steel appliances. This is a 3 way split bedroom plan with private bath for 4th bedroom which could be a separate guest or in-law suite. Other great features include front porch sitting area, Eat in Kitchen nook, separate laundry room,shutters on the windows,new plumbing fixtures,tile roof, new landscaping and oversized garage and driveway. The equestrian inspired neighborhood of Van Dyke Farms offers many amenities such as larger home sites, ponds for fishing,tennis,racquetball and basketball courts. Sidewalks throughout and meticulously manicured landscaping in the community makes this a perfect place to call home. NO CDD AND VERY LOW HOA FEES. Very conveniently located within minutes to Veterans Expressway, Tampa International Airport, St Joe's North/Baycare Hospital and TOP RATED schools. Ready for a quick move in, come see this fantastic home today! !